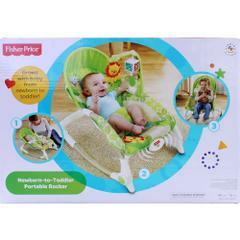 The Fischer Price newborn to toddler rocker is a two-in-one product that can be used as a rocker or a baby seat for feeding or relaxing. 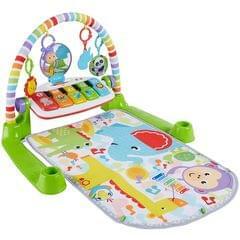 From a rocker with reclining canopy that provides comfort to your new born, convert it easily into an infant lounge seat featuring interactive play bars. 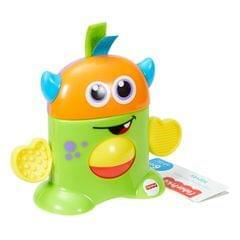 This Fisher Price portable rocker is easy to carry with a built-in handle so that you can take it wherever you go. 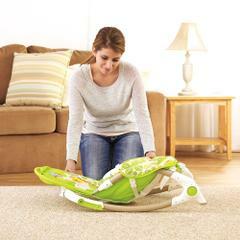 Gentle rocking motion of this battery-operated rocker soothes baby with its relaxing vibrations. 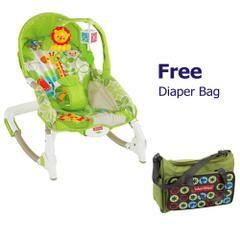 You can easily comfort and put your crying baby to blissful sleep within moments or unwind your toddler in its lounge seat with flexible seat angle adjustments. 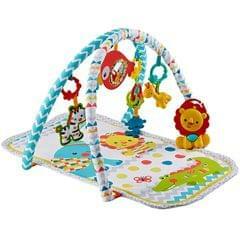 Machine wash its soft accessories that are dryer safe as well. 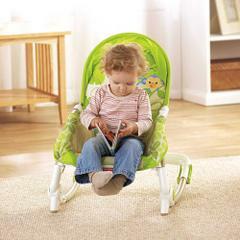 The Fisher Price rocking chair has several recline positions to suit your growing child's posture. 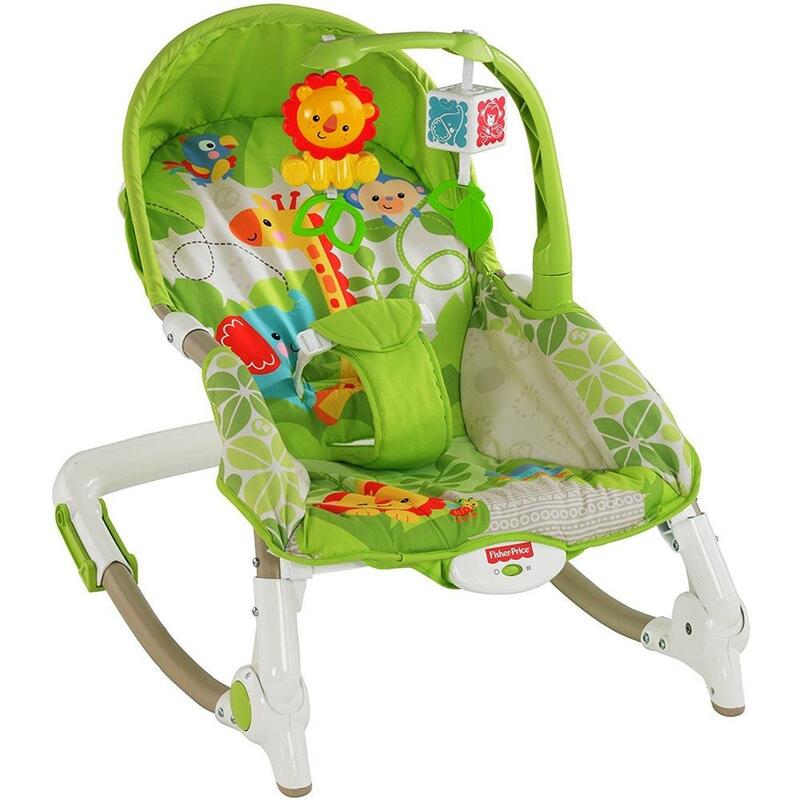 Its recline position is to be used for a newborn or an infant who can sit without assistance whereas its upright position is for a child with sufficient upper body control. 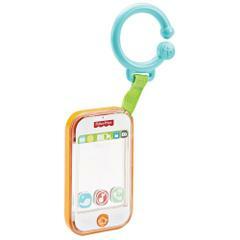 A secure restraint system takes care of your toddler, until he can get in and out of the rocker on his own. 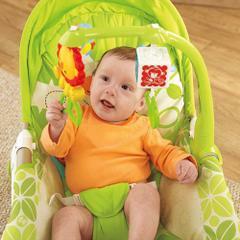 This Fischer Price rocker featuring a toy bar, aids your child's motor skills development with two hanging toys. Naturally, play time in this rocking chair is full of fun and refines eye-hand coordination of your young one. 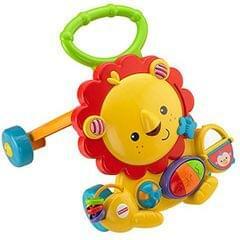 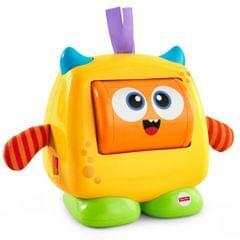 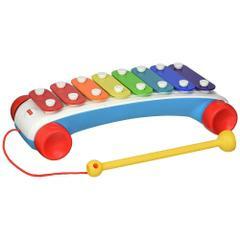 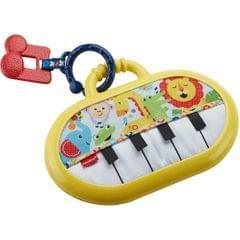 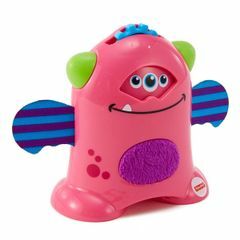 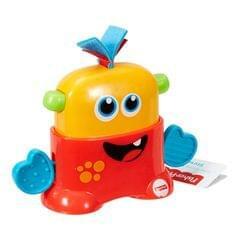 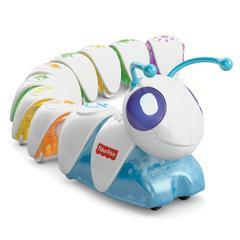 Besides, the use of rattles and bright colours stimulate the audio-visual senses of your child.